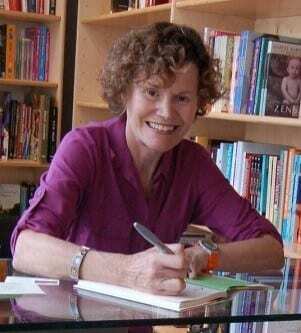 Judy Blume, beloved young adult author, revealed today on her blog that she was diagnosed with breast cancer earlier this summer and underwent surgery a month ago. In the blog post, Judy Blume wrote about the shock and fear of receiving her diagnosis. Blume said she doesn’t eat red meat, doesn’t smoke, doesn’t drink alcohol, exercises every day — and yet developed invasive ductal carcinoma. The blog post was titled “! @#$% Happens,” and the message was that cancer can happen to anybody, even those without a family history of the disease. Blume encouraged women with dense breast tissue to get a sonogram along with an annual mammogram. Opting for surgery and reconstruction to treat the cancer, Judy Blume had a mastectomy on July 30, six weeks after the diagnosis. “This surgery went well,” she wrote, “one night in the hospital, very little pain,” and no need for chemotherapy. She says she is feeling better a month after the surgery and is back at home in New York City, crediting an “amazing network” of friends as her inspiration and motivation. This isn’t the first time Judy Blume, age 74, has battled cancer. She was diagnosed with cervical cancer 17 years ago and underwent a hysterectomy at that time.